the needs of the home chef at an affordable price. Great for RVs and small patios. Attach to our cart for a great height! Smokes beef, pork, poultry, fish, seafood, lamb, sausage, game, vegetables, etc. Makes great jerky. Smoker arrives assembled and ready to use! 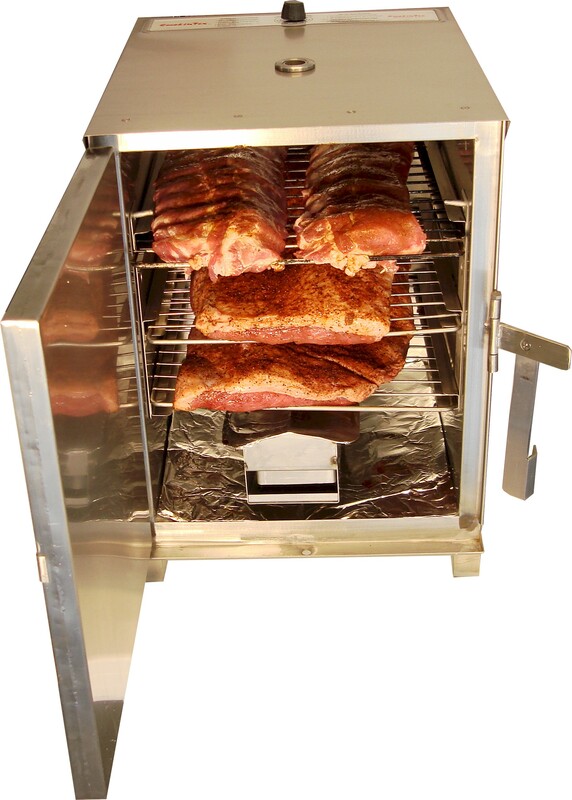 Free lifetime technical support on your smoker. 1.7 Cu. Ft., 243 Cu In. Shelves: Comes with 2 Capacity 3 W=12.125" x D=13.25"
W=14.75" x D=18.75" x H=21.25"
W=12.5" x D=13.5" x H=17.25"